ETH Zurich and Eawag researchers are developing a method to produce animal feed from biowaste products. This is one of 14 projects in the Engineering for Development programme funded by the Sawiris Foundation over the past decade and entering its next 5-year cycle. The United Nations anticipates a world population growth of approximately one billion people in the coming decade. "With such an accelerated growth in human population, how do we manage large amounts of waste, especially in urban areas of developing countries that suffer from poor public and environmental health?" asks Moritz Gold, doctoral student in the group of ETH Zurich professor Alexander Mathys. Gold's interests lie in novel systems for waste management and using waste as a sustainable resource for urban development. In his research, he focuses on the use of biowaste as a raw material for propagating the Black Soldier fly (Hermetia illucens). The larvae of the fly not only breaks down waste material into compost, but can also be used as an animal feed. While composting is deemed an unprofitable venture in most countries, the production of fly larvae generates a high-value product. A product that changes the economics of waste management and provides opportunities for a marketable commodity in developing countries. The revenue stream that the larvae feed creates, not only supports a sustainable waste management system, but also contributes to the protein needs of a rapidly growing population. The upcycling of biowaste begins in the "love cage" – a net with water and warm lighting where the female fly mates and lays her eggs. Gold then transports the eggs into his lab where they hatch into the larval stage of their lifecycle. 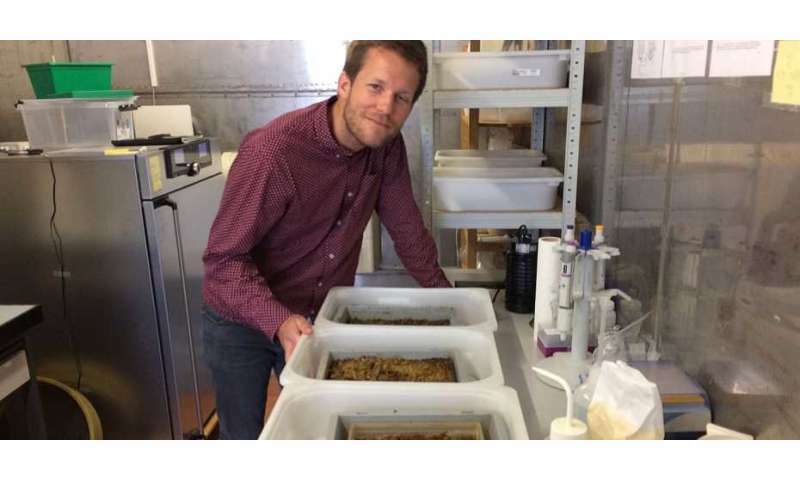 Wielding a "Midas touch," he and his collaborators optimise the larvae development by testing their growth capacity in diverse formulations of biowaste such as: everyday household food waste, restaurant scraps, or by the addition of beneficial microorganisms. His ultimate goal is to produce formulae that maximize the process performance of the larvae, similar to the carbon and nitrogen ratio common in composting. In current urban waste systems, the lack of a consistent nutrient balance prevents the production of animal feed. When urban biowaste is used, the larvae produced can be more sustainable than conventional soybean and fishmeal. 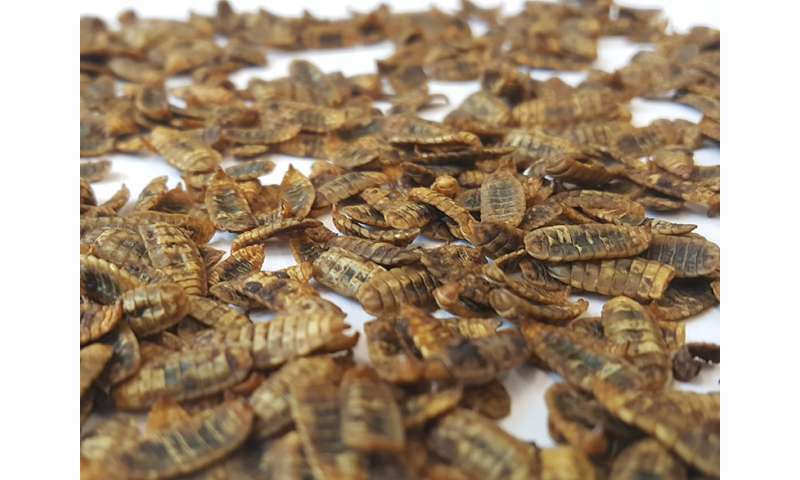 Since bulk nutrient rich waste from milling and the brewery industry are already used as animal feed, using these types of waste for growing insect larvae would not yield a more sustainable system. 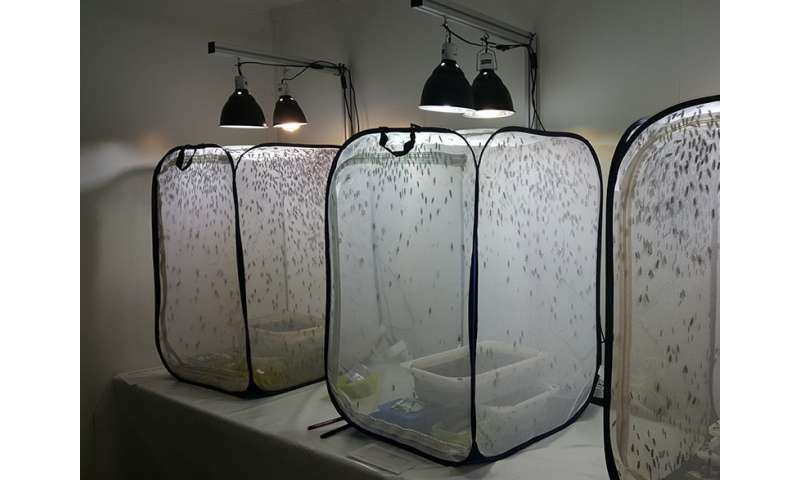 Whether in Asia or sub-Saharan Africa, a financially viable insect farm requires a lot of waste. Gold's research aims to produce a stable and safe process for municipal organic solid waste—which encompasses the different types of waste products found in cities from food markets, households, and restaurants, to, yes, faecal sludge. Since there are so many complex aspects to working with biowaste material—from disease-causing bacteria to inconsistent nutrients, Gold approaches his fundamental research with controlled feeding experiments using sterilized larvae and spiking them with certain microorganisms to see which trigger a change in their growth. Much like humans, larvae need to feed on a formula that includes proteins, carbohydrates, and lipids. The Black Soldier fly feeds only in its larval stage accumulating as much nutrients and as much energy as possible. With access to a nutrient rich diet, they feed for approximately two weeks before they can be harvested for animal feed production or before morphing into a wasp-like fly that lives around one week and is neither a vector for pathogens nor an environmental pest. For his project, Gold also works with Christian Zurbrügg in the Department of Sanitation, Water and Solid Waste for Development (Sandec) at Eawag and his novel solution plays a role in the World Food System Center's flagship project on Novel Proteins for Food and Feed. He also works with local processing facilities in developing countries, such as Indonesia, Kenya, and Tanzania.